TORONTO -- Loblaw Companies Ltd. will record a $368-million tax charge related to its former Barbadian banking subsidiary Glenhuron Bank Ltd. after a recent Tax Court of Canada ruling. The charge of 98 cents per share will be recorded in the company's third quarter but the grocery conglomerate said Monday it plans to appeal the ruling that was issued last week. The tax court decision centres on the Canada Revenue Agency's reassessments of Glenhuron for several tax years dating as far back as 2001. The federal government had alleged Glenhuron did not meet the requirements to be considered a foreign bank under Canadian law, and therefore exempt from paying tax back home, and took steps to make it look like it was. Tax Court judge Campbell Miller wrote in his 124-page judgment released on Sept. 7 that, on balance, the transactions entered into by Loblaw regarding Glenhuron did result in a tax benefit but "were entered primarily for purposes other than to obtain the tax benefit and consequently were not avoidance transactions." Loblaw said it is "pleased" with the court's finding that it did not take steps to avoid Canadian tax. "This confirms what we have said all along: Glenhuron was established for legitimate business purposes. 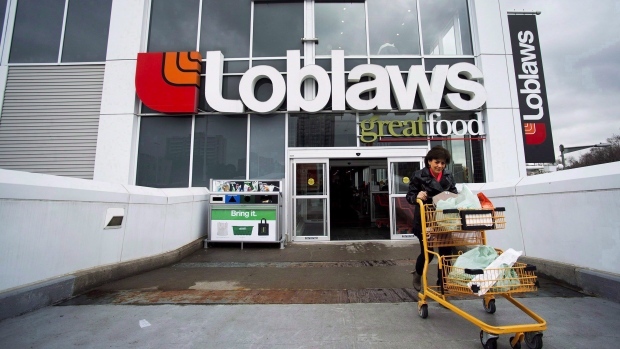 We are also pleased that the court's decision will result in a reduction of the amount of taxes assessed," said Sarah Davis, president of Loblaw, in a statement on Monday. Department of Justice lawyers had argued during the trial, which began in April, that Loblaw took steps to make Glenhuron look like a bank in order to avoid paying tax. Government lawyers said Glenhuron did not qualify because, among other things, it largely invested the grocery giant's own funds and was "playing with its own money." However, Miller said in his decision that although Glenhuron was a regulated foreign bank, it was principally conducting business with non-arm's length persons. In turn, Miller wrote, the Barbadian subsidiary's income was from an investment business and should be included in Loblaw's income as "foreign accrual property income." Loblaw said Monday it was disappointed with the court's interpretation of a technical provision in the legislation and will appeal. "Though the judge was supportive of Loblaw's position on most points, his decision on a technical tax-law interpretation means that Loblaw's tax obligation for Glenhuron has been reduced but not eliminated," Loblaw spokesman Kevin Groh wrote in an email. "We disagree with this aspect of the decision and will appeal." After deducting amounts already paid, Loblaw expects to make a cash payment of approximately $242 million from cash on hand, without any impact on its capital investment plans, dividend growth or its share buyback program. The Canada Revenue Agency would not comment on the details of the case, citing the confidentiality provisions of the Income Tax Act. However, a CRA spokeswoman said the taxpayer in this case has until Oct. 9 to appeal the Tax Court's decision to the Federal Court of Appeal.